We are now offering our very successful total immersion courses in Spain! 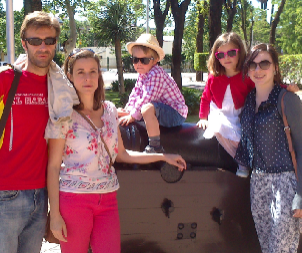 Learn Spanish successfully, intensively and rapidly by living and studying with your teacher. 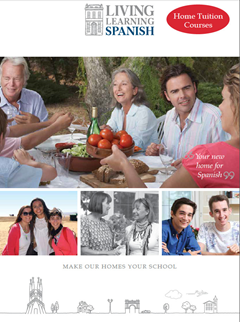 You will be welcomed into your teacher’s home where you will experience Spanish life as part of a warm, friendly family. You will speak only Spanish everyday and your teacher will help you find the right words in daily conversation. Our courses are specifically designed to meet your individual needs for learning Spanish. • General Spanish - develop all your Spanish language skills according to your needs and requirements. • Young Learner Courses - a fully supervised course of General Spanish plus a programme of activities for under 18s. • Business Spanish - the Spanish you need for your work. Focus on communication skills and the language you need in your professional life. • Spanish Plus - a great way to combine studying with a holiday with General Spanish lessons plus activities with your teacher. Choose from guided sightseeing (historic buildings, cathedrals, churches, monasteries, roman ruins, gardens), art and museum visits, Spanish poetry and literature, walking, cookery, Spanish tapas tasting, wine tasting and flamenco dancing. • Spanish for Teachers - an advanced Spanish course to brush up on your communication skills, vocabulary and use of Spanish for the classroom. • Crash Course (4 Days) - designed for busy professionals who need to learn the maximum amount of Spanish in the shortest possible time. 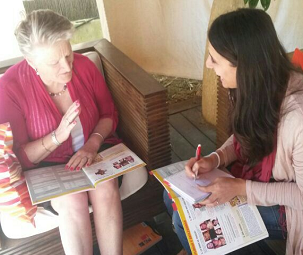 Our Spanish courses in Spain are not accredited by the British Council. British Council Accreditation is for our English courses only. However, our Spanish homestay courses are modelled on our English courses and you can expect a quality course and a high standard of service from the team based in the Bristol office when you book your course.